Xander Zhou invited us into a world of exploratory adulthood for Autumn/Winter 2017. 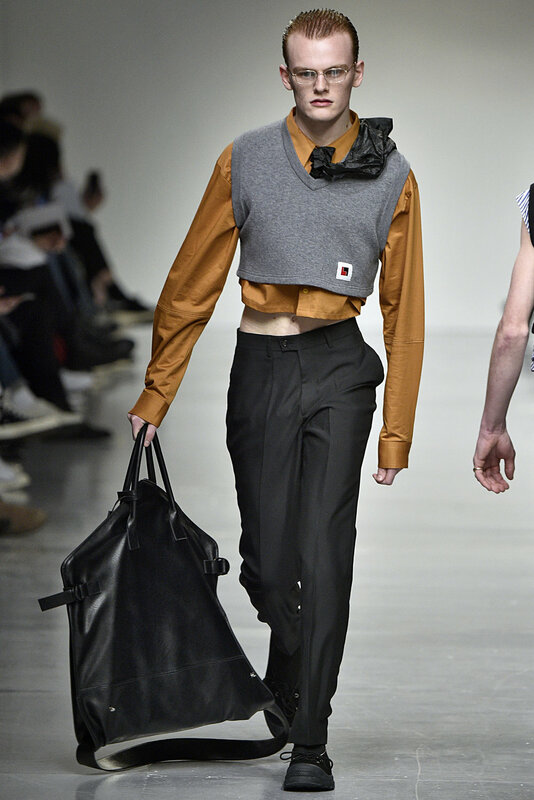 Based around youth, Zhou explored the world of grown ups once more. "We are young, but we are no longer children. We have grown up. We have come to understand ourselves." A series of references emerged within a fast paced show; models stomped down the runway, turning at a 90 degree angle with incredible pace. Identity was evident in every item of clothing, with references to Asia's current position in the world. "We are the new gener-asian" is the message that was communicated through army-type uniforms, boiler suits, oversized suit jackets and a two piece white suit. 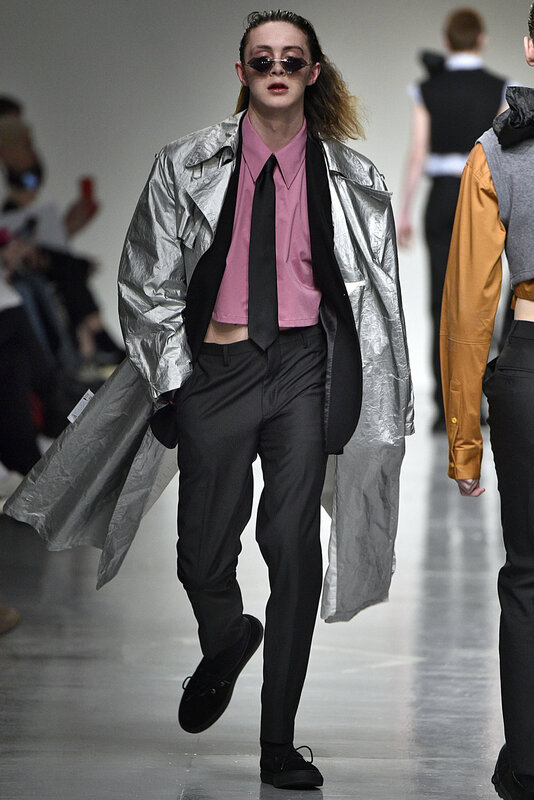 With flashes of purple, hot pink and sky blue outerwear, there was an undercurrent of strong eighties colours. Like an experiment, there were flat and three dimensional items - large sleeves, ironed out trousers, wrinkled and bleached denim, and a white suit that emulated a cut up kimono. Traditionally Chinese elements flirted with reconstruction and the toolbox in which the youth have to create. These items are not casual, but they're transformed. Flirting with feminine aspects and flirting with the future of everything Asia has to offer - freedom, creativity, and aspiration.